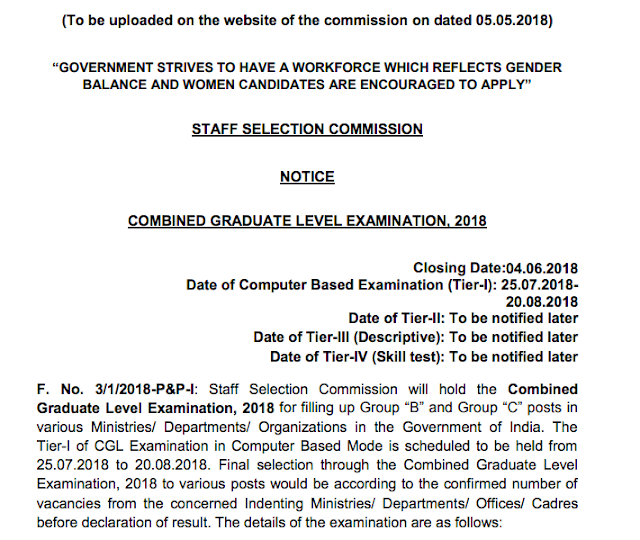 SSC CGL 2018 Official Notification has been published by SSC (04th May 2018). SSC had already Published a short notice regarding this in employment news. We will upload and share the notification and its highlights and important changes asap. declaration of the final results. A person seeking appointment on the basis of reservation to OBCs must ensure that he/ she possesses the caste/ community certificate and does not fall in creamy layer on the crucial date. The crucial date for this purpose will be the closing date for receipt of applications i.e. on 04.06.2018. 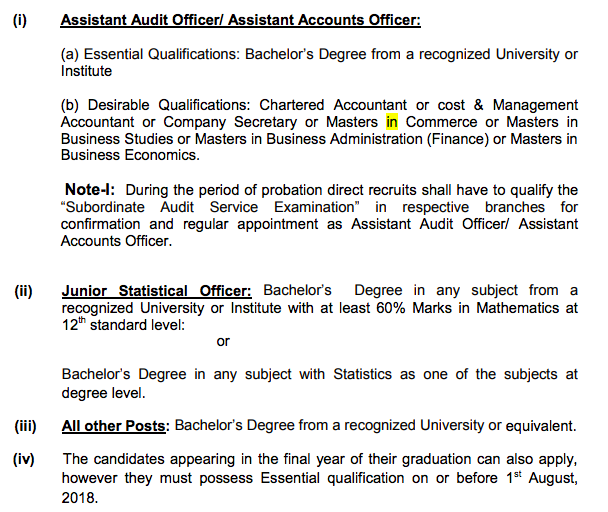 Candidates may also note that in respect of the above, their candidature will remain provisional till the veracity of the concerned document is verified by the Appointing Authority. Candidates are warned that they may be debarred from the examinations conducted by the Commission in case they fraudulently claim SC/ ST/ OBC/ ExS/ PwD status. Proficiency Test has also been prescribed as an Essential Qualification. using Visa, Mastercard or Maestro Credit or Debit card. The merit will be prepared on overall performance in Tier-I, Tier-II and Tier-III. 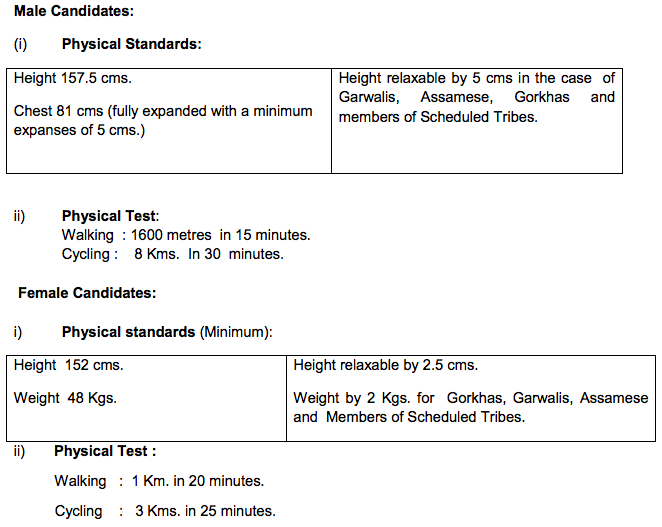 However, the candidate will need to qualify all the tiers i.e Tier-I, Tier-II and Tier-III separately. There will be no sectional cut-off. The “Data Entry Speed Test” Skill Test will be conducted for a passage of about 2000 (two thousand) key depressions for a duration of 15 (fifteen) minutes. This test will be of qualifying nature. 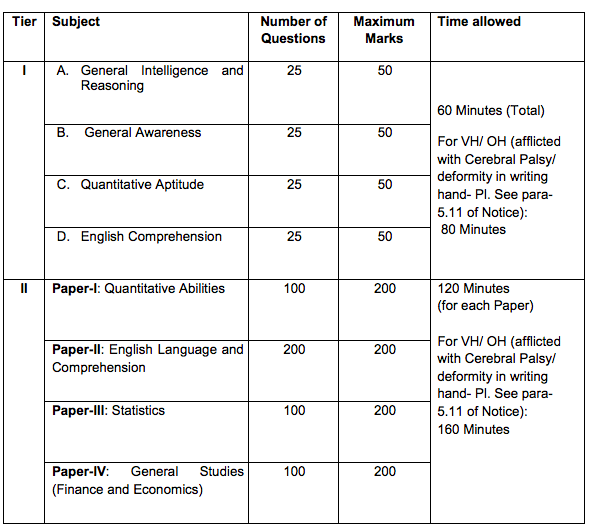 (i) Total marks of Tier-IIExamination. (ii) Total marks in Tier-III Examination. (iii) Total marks in Tier-I Examination. 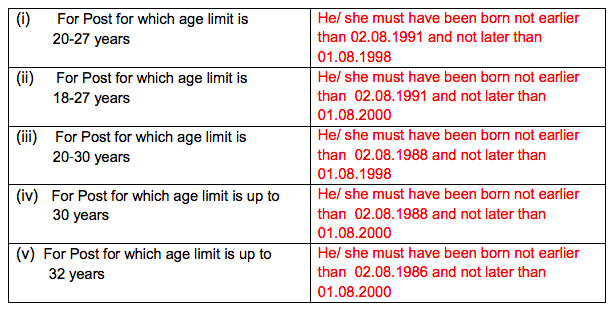 (iv) Date of birth, with older candidate placed higher. 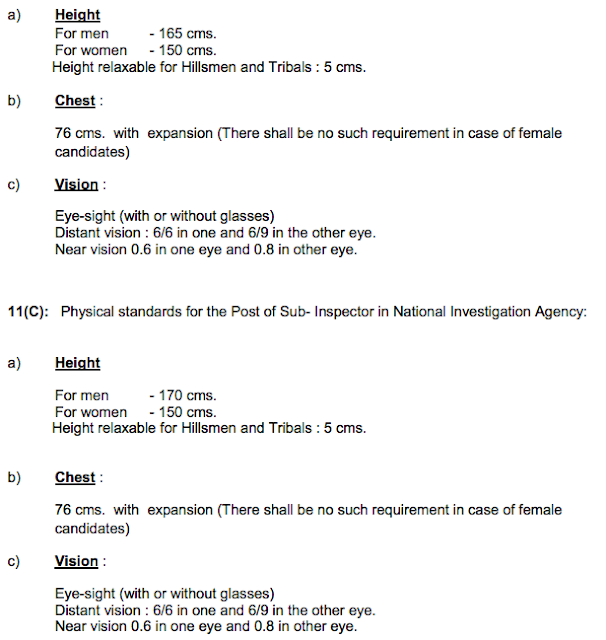 (v) Alphabetical order in which the first names of the candidates appear. Click Here for more Information regarding SSC CGL 2018 Notification.